Is This The Cheap Student Storage You've Been Waiting For? Students often find themselves frustrated when they want to store their belongings using a traditional self-storage service. Often they only have a small number of items to store yet are forced into paying for more space than they need. Next there is the challenge of getting their things to the storage depot. Even if they have a driving licence – and many don’t of course – they may not be old enough to hire a van. And even if they can, driving to an unfamiliar area with a vehicle they are not used to adds considerable stress to the whole process. Then, when it’s time for them to be reunited with their items they have to repeat the process – yet more hassle and cost. Now imagine a scenario where you don’t have to think about arranging transport because the storage company comes out to you – that’s what mobile self-storage is all about. With Space and Time mobile self-storage, we also focus on flexibility. By charging per box rather than per unit of storage space, students only have to pay for what they store – even if that’s just a suitcase, bicycle or guitar! So not only do we provide cheap student storage, we also make sure every penny spent is put to use. 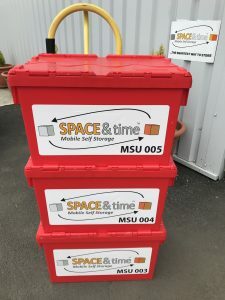 So how does Space and Time mobile self storage for students work? We’ve made it as simple as possible. The first step is to log in to our booking system via a desktop, laptop or mobile device. You then simply follow the step-by-step online booking process which includes selecting your location, choosing the number of boxes you need, selecting how long you need your items stored for and deciding what packing items you need. An important part of the process is choosing a date and time you want your boxes and packing materials dropped to your house or halls. On the same page you also enter a date when you want us to come and collect your boxes (making sure you have left enough time to do your packing, of course). When we’ve picked up your boxes and anything else you have specified during the user-friendly booking process, you can wave goodbye to them, safe in the knowledge that they are fully insured and guarded night and day by our HD CCTV and monitored alarm systems. The next time you see your worldly possessions (unless you choose to visit the storage facility) will be when we have either delivered or shipped it to your chosen destination, even if that is in a different country. With over 15 years’ experience in the self-storage industry we have helped many students to store their things and have used all of that knowledge and understanding to create a student storage concept that ticks all the boxes. For example, it can take a long time to find and retrieve items that have been stored for a long time so we have built a database into which every item is entered. A simple computer query will pull up exactly where anything you have stored is being stored. Some students don’t want to pay extra for storage boxes. We can help with that too. As long as your fully packed boxes are sturdy and no more than 25kg in weight, you are free to save money by using your own. 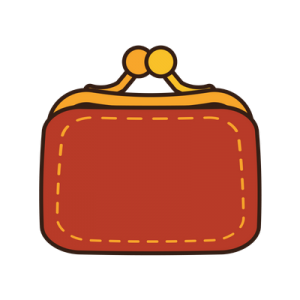 Young people often first come to us because they are searching for cheap student storage but they usually come back because of the friendly, hassle-free experience they enjoyed. If you want to become our latest happy customer, please visit the home page and click the ‘Get Started‘ button.